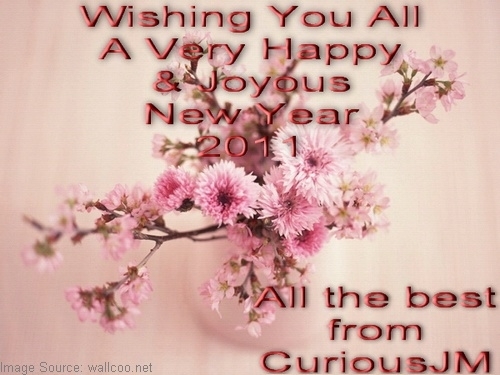 I wish all my readers a very Happy New Year 2011. The blog is two years old now and I am happy to inform my readers that as compared to 60,000 visits in first year, the blog received 195,500 visitors during 2010. A whopping increase of 325%. I am thankful to all my readers and followers who have been sending me comments and suggestions and wish them again a Very Happy and Joyful New Year 2011. Comments/suggestions are always a great source of encouragement and I look forward to more suggestions/comments from my readers in the year to come. Wish you a very Happy New Year and good health.I know there is more amazing and surprising post awaiting to be published in your Travelogue. I always wait for those twists. Stay well.